The Indian wicket keeper batsman is always known for his work behind the stumps but this time his voice was recorded in the stumps mic in second ODI match against New Zealand goes viral on internet. In the ongoing three match series against New Zealand, the former captain of Indian team was spotted giving instructions to bowlers on the field. The voice of Dhoni later recorded in the mic of the stumps and went viral on internet. Dhoni knows how to bring the best out of every single player in the match. 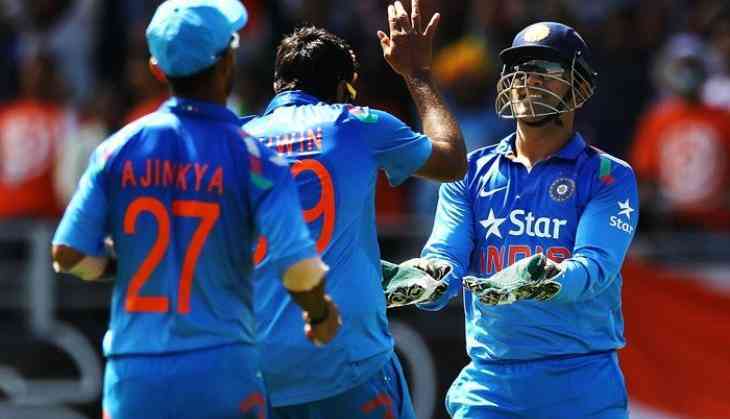 Team India on 25th October defeated New Zealand by six wickets in the third one-day international (ODI) at the Maharashtra Cricket Association Stadium in Pune. Therefore, team India leveled the series by 1-1.